The SIGNET Cytokeratin 20 (Clone Ks20.8) reacts with the 46 kDa cytokeratin intermediate filament protein as identified on immunoblots. 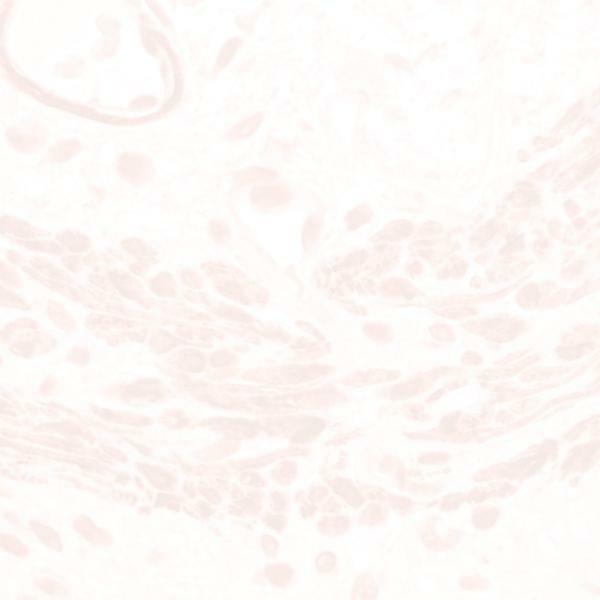 Clone Ks20.8 reacts with intestinal and gastric foveolar epithelium, endocrine cells of the upper portions of the pyloric glands, as well as with the urethelium and Merkel’s cells in epidermis. Most other epithelial cells, including epithelial cells of the breast are not stained with the antibody. It does not recognize other intermediate filament proteins. There seems to be a marked difference in the expression of cytokeratin 20 between different types of carcinomas. The neoplasms with positive cytokeratin 20 staining are derived from normal epithelia expressing cytokeratin 20. Colorectal carcinomas consistently express cytokeratin 20 while adenocarcinomas of the stomach express cytokeratin 20 to a lesser degree. Other adenocarcinomas including the gall bladder, bile ducts, ductal cell adenocarcinomas of the pancreas, mucinous ovarian tumors have been found to stain positively with the Cytokeratin 20 antibody. On the other hand, other carcinomas such as adenocarcinomas of the breast, lung and endometrium and non-mucinous tumors of the ovary have been found to be negative with the cytokeratin 20 antibody.